Slime, slime, slime. It's been all the rage in our home for quite some time! 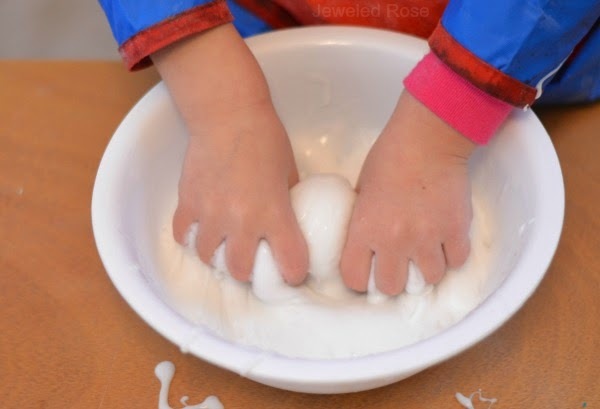 Today, we are sharing a new slime recipe for snow using only two ingredients! Easy for mom and fun for the littles? What?! Rush to make this now! 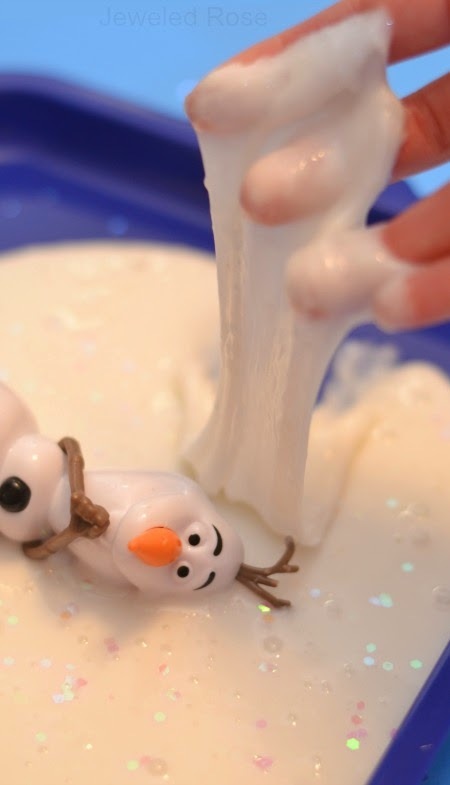 Snowman slime is icy-cold to the touch just like real snow. 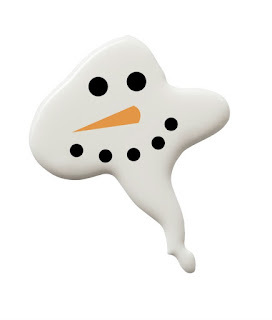 Kids will have a blast making oozing snowmen and melting snowballs. They can also make "snowman farts". 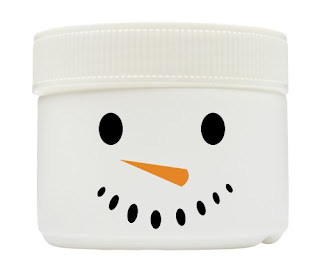 Are you ready to make snowman slime? 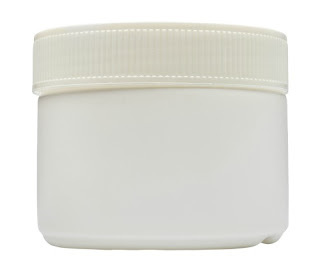 A Tip: Refrigerate the glue and liquid starch overnight. This step is crucial for achieving the icy & frosty temperature that makes this slime so unique and special. Begin by pouring 2 cups of chilled school glue into a large mixing bowl. Slowly begin to add liquid starch, slowly adding more starch and mixing until the desired consistency is reached. Once the slime begins to form transfer it to a new bowl & continue to knead with clean, dry hands. 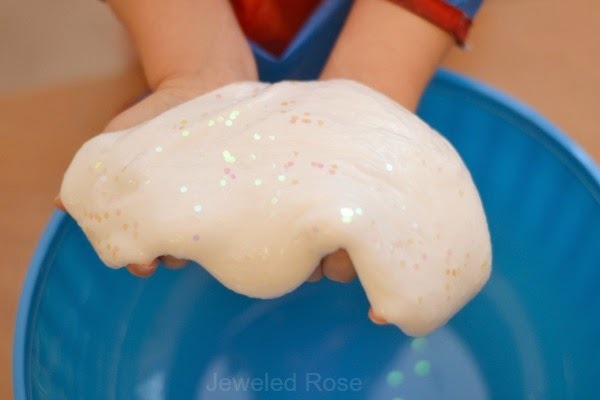 After a bit of kneading you will have delightfully fun, icy-cold snow slime! Rosie added a bit more starch to her bowl than Jewel, but that was ok! This is a very forgiving recipe. Less starch will give you a more oozy slime. 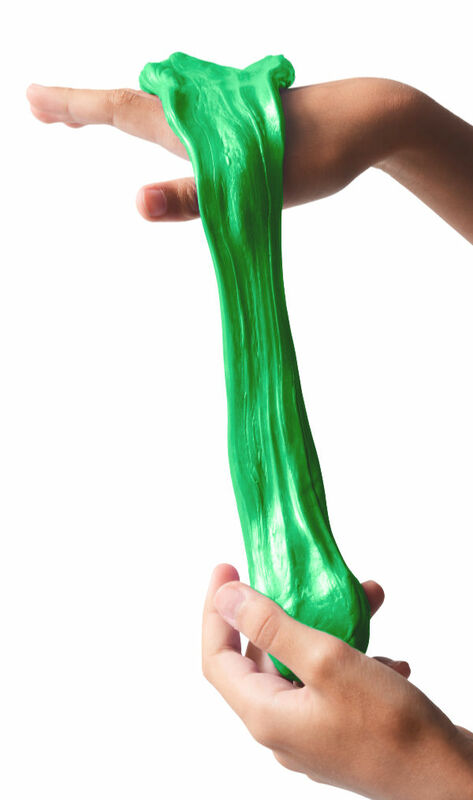 More starch will give you a rubber-like slime. Don't worry about exact measurements. Just be sure to slowly add the starch & mix well in-between. 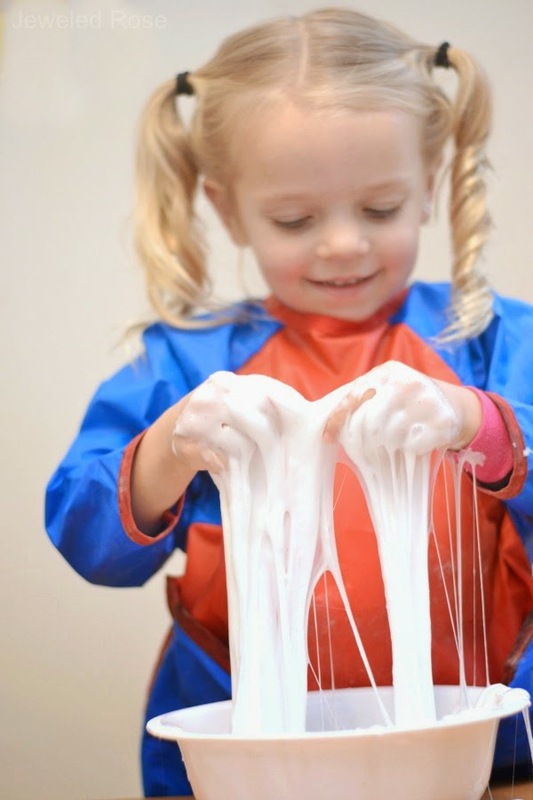 Playing with the ingredients is all part of the fun of making slime at home. 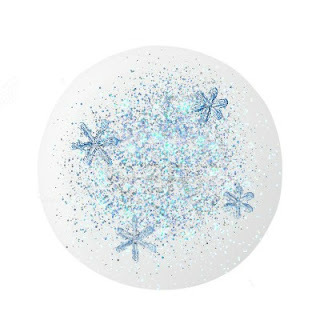 Add cookie cutters to make slime snowflakes. 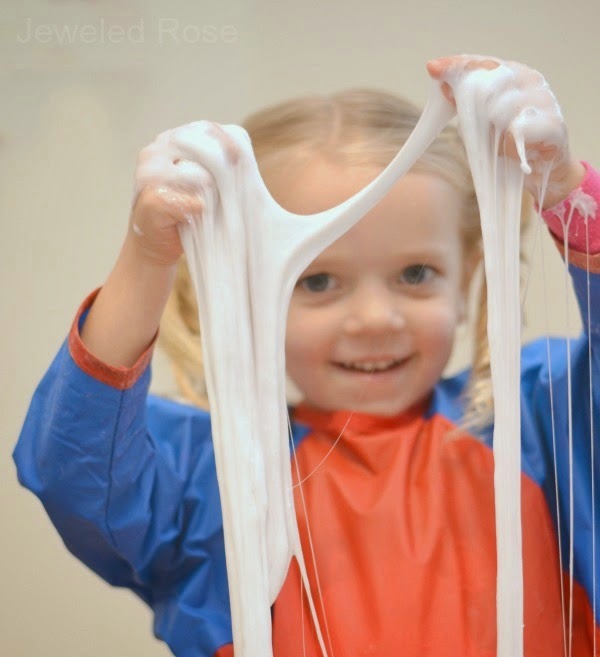 Any way they play kids are sure to have a blast as they stretch and pull this icy-cold slime! 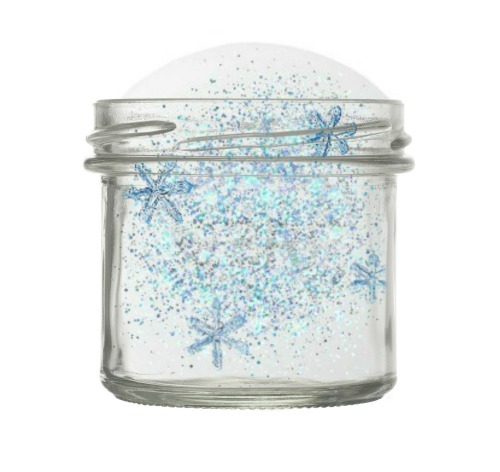 Are you in need of a fun holiday party favor? 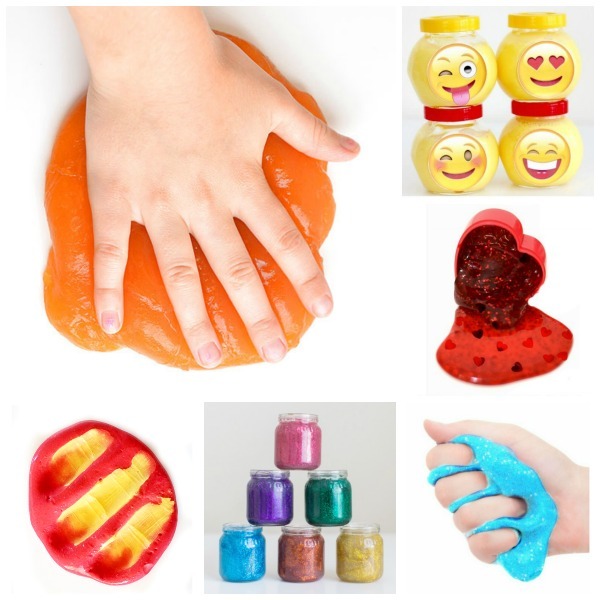 Make this wintry slime, and then place it into containers like these. 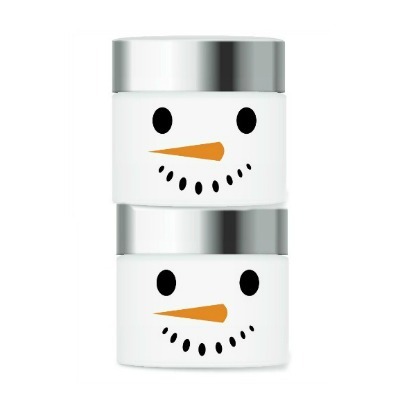 Then, use a Sharpie to draw snowman faces on the containers. You are now all set with a party favor to please! 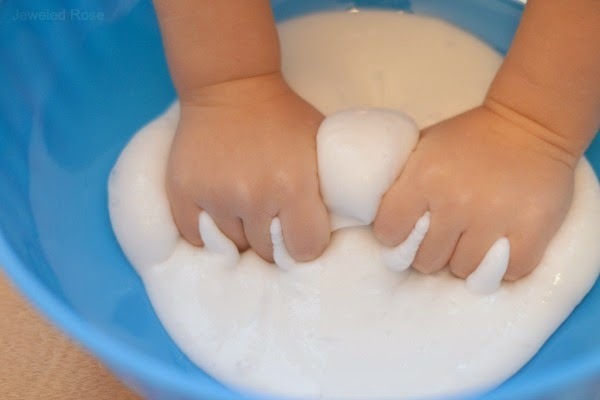 If your snowman slime is too sticky add more starch and knead it in. If the slime is too stringy add a touch more glue. 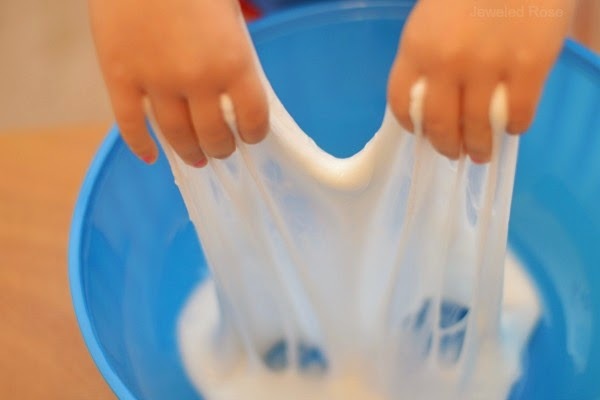 Store the slime in a zip-seal bag between play times, and it can be used again & again!